Excerpt of part of my story in an article I wrote on joint hypermobility and chronic pain for HealthCentral. 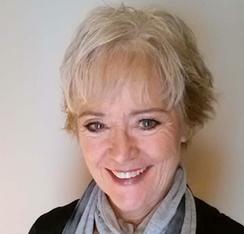 There are many theories regarding joint hypermobilty and the connection to Ehler’s Danlos Syndrome (EDS), a genetic collagen disorder. Some researchers consider Benign Joint Hypermobility Syndrome (BJHS) to be a milder form of one of the many types of EDS. (1) According to NORD, there are thirteen subdivisions. NORD established the annual awareness day for rare diseases on the last day of February. RareDiseaseDay.org/ tells us to #ShareYouAreRare and more. Last year, the following appeared on ProHealth and with ProHealth’s permission, I am sharing it in its entirety here on The Pained Ink Slayer. 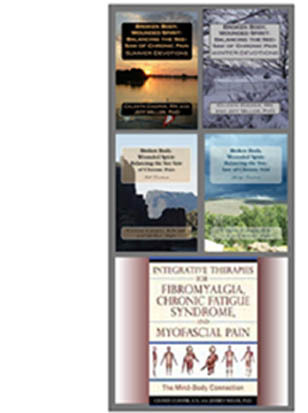 Characterized by joint hypermobility, skin extensibility and tissue fragility, this type of EDS can co-occur in fibromyalgia and myofascial pain syndrome even though it is thought to be a rare condition. Fibromyalgia and EDS also share connections you might not have considered. Gastrointestinal problems are noted in both hEDS and fibromyalgia, and myofascial pain syndrome has been noted in both hEDS and fibromyalgia. A 2014 study, A Prospective Evaluation of Undiagnosed Joint Hypermobility Syndrome in Patients with Gastrointestinal Symptoms (2), found upper and lower GI symptoms increased with the severity of joint hypermobility type. Upper GI symptoms were dependent on autonomic and chronic pain factors. A 1993 study published in the Annals of the Rheumatic Diseases (3) suggests there is a strong association between joint hypermobility and fibromyalgia in schoolchildren and joint hypermobility may play a role in developing fibromyalgia. Keep in mind, in 1993, few understood the incidence of myofascial pain syndrome in chronic pain conditions, which could be true in this case. It would be interesting to see a follow up study on the participant group to see how many of these children would meet today’s suggested fibromyalgia criteria. 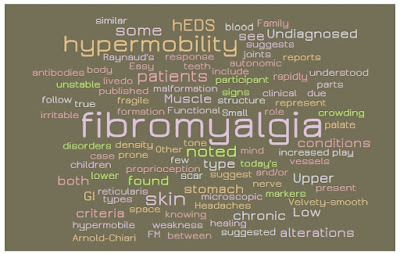 In 2013, a French study, Fibromyalgia: an unrecognized Ehlers-Danlos syndrome hypermobile type? (4), reports some patients suffering from fibromyalgia present with clinical signs and alterations in tissues, changes in antibodies that test for certain markers found in tissue, and alterations to the microscopic structure of skin that is similar to hEDS. 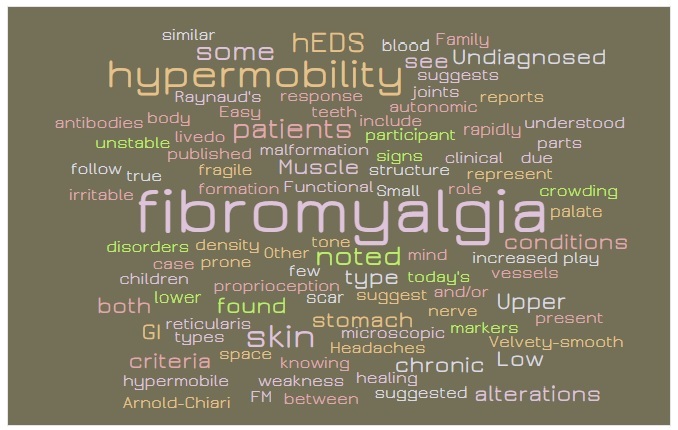 They also suggest some types of fibromyalgia could represent undiagnosed joint hypermobility. A 2017 case study (5) highlights that patients with EDS type III [hEDS] may suffer from pain due to myofascial trigger points around the affected hypermobile joints, not a surprise to me. I have been writing about this for years. Myofascial pain syndrome is a chronic pain condition caused by myofascial trigger points and it appears to perpetuate pain in both fibromyalgia and hEDS. Symptoms may vary, but there are general symptoms. Don’t be surprised by the number similar to fibromyalgia and/or myofascial pain syndrome. I was born with lax joints, just like my maternal grandmother and aunt. Well into adulthood, I sat with my legs splayed as if chicken wings, or crossed the other direction, yoga style. I have gotten myself into some precarious positions that result in pain, and like fibromyalgia, I can’t always predict when that will happen. I continue to struggle with the effects. Whether joint hypermobility is benign (without genetic markers), or genetic (as seen in hEDS), it is not without consequences. Because of lax hip joints, I fell down a flight of stairs; I was seven months pregnant. I have had 4th-degree sprains of both ankles, several bouts of Achilles tendonitis, inflammation of multiple joints, four shoulder repairs for torn tendons and muscles due to dislocation, knee surgery, and I experience ileo-tibial band inflammation caused by unstable hips, compensatory piriformis syndrome, and a lot of pain. And I am not alone. There are many like me. Are you? We need more research on this connection. Folks can’t seem to agree on diagnostic criteria or terms for hEDS or fibromyalgia, which is extremely confusing and frustrating. Most likely this is because of the lack of robust research. Funding for research on rare diseases is grossly lacking. We need to raise awareness. (Edited February, 2019) This year February 28th is Rare Disease Day in the United States. The U.S. Pain Foundation has provided various ways to engage within our community. Check out the awareness events taking place and share the word in your communities. You can find more information on Ehlers-Danlos Syndromes at NORD, and the NIH, Genetic and Rare Diseases Information Center (GARD). The amount of research of this painful rare disorder over the past two decades is limited, but what we do have suggests more investigation is needed and many more people may be affected than realized. Symptoms of EDS can overlap with FM and could present as a mimicking or co-existing condition. Joint hypermobility and skin disorders have been more frequently observed in children with FM (6) than in otherwise healthy children, skin ultrastructural similarities between FM and EDS hypermobility type have been noted (7), and some types of EDS can perpetuate the development of myofascial trigger points that cause chronic myofascial pain (8). (1) Hermanns-Lê T, Reginster MA, Piérard-Franchimont C, Delvenne P, Piérard GE, and Manicourt D. (2012). Dermal ultrastructure in low Beighton score members of 17 families with hypermobile-type Ehlers-Danlos syndrome. Journal of Biomedicine and Biotechnology; 2012:878107. (3) Gedalia A, Press J, Klein M, and Buskila, D. (1993). Joint hypermobility and fibromyalgia in schoolchildren. Annals of the Rheumatic Diseases; 52(7): 494–496. La Revue Médicale de Liège; 68(1):22-4. (5) Tewari S, Madabushi R, Agarwal A, Gautam SK, Khuba S. (2017). Chronic pain in a patient with Ehlers-Danlos syndrome (hypermobility type): The role of myofascial trigger point injections. Journal of Bodywork and Movement Therapies; 21(1):194-196. (7) Hermanns-Lê T and Pierard GE. (2016). Skin ultrastructural similarities between Fibromyalgia and Ehlers-Danlos syndrome hypermobility type. International Journal of Clinical Rheumatology; 11(2), 019-022. (8) Fernández-de-Las-Peñas C. (2009). Interaction between Trigger Points and Joint Hypomobility: A Clinical Perspective. Journal of Manual and Manipulative Therapy;17(2):74-7.